It's no secret that I read a lot of books. But what most readers probably don't know is how, exactly, I go about choosing ones to feature in Shelf Awareness. There's no super computer behind the scenes. Just 25 years of experience, wisdom and, occasionally, luck. Take Strange Practice (Orbit) by Vivian Shaw. I happened to be in the area of our office where books are received when Shaw's debut arrived. The cover, a nod to Edward Gorey, caught my eye. A bit risky on the publisher's part--Gorey doesn't appeal to everyone--which made me even more curious. I flipped the book over and found a rendered Rx pad, urging banshees, barrow-wights and mummies to seek out Dr. Greta Helsing, "a first-rate physician" trained to "help you with your unnatural affliction." Clever cover and what sounded like not your run-of-the-mill plot. Enough to get me reading. 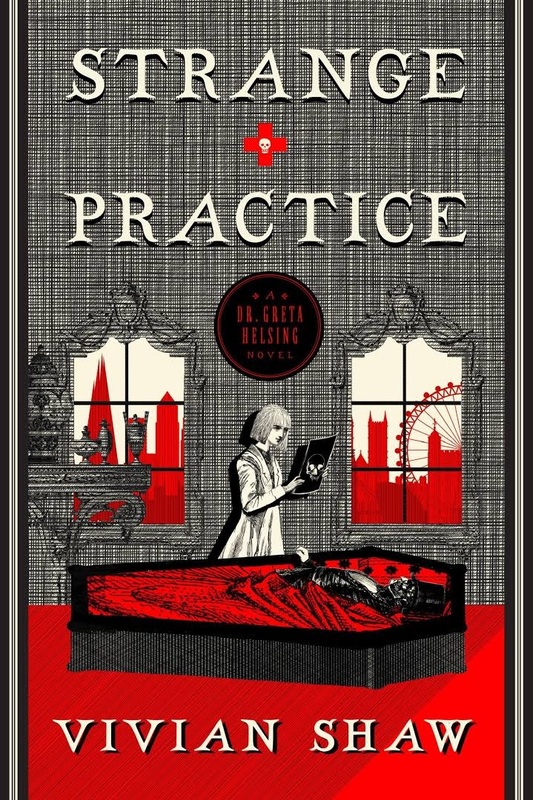 As it turns out, Londoner Greta comes from a long line of supernatural medicine practitioners. "There had never been much doubt which subspecialty of medicine she would pursue, once she began her training: treating the differently alive was not only more interesting than catering to the ordinary population, it was in many ways a great deal more rewarding. She took a lot of satisfaction in being able to provide help to particularly underserved clients." Bustle shared "7 things book-lovers can teach you about life." "From a Copenhagen scientist to a hardbitten single mother in New York," Kristen Lepionka shared her picks for "top 10 female detectives in fiction" with the Guardian. Direwolf bread, anyone? Ben Hawkey, the actor who plays the popular character Hot Pie on Game of Thrones, is opening a GoT-themed bakery called You Know Nothing Jon Dough, Indiewire reported. Pop quiz: "Which punctuation mark are you?" asked Buzzfeed. Chronicle Books blog explored "an eye-catching art installation made of 3,500 books." "What if Jaws was a rom-com?" Quirk Books imagined an answer to the question. 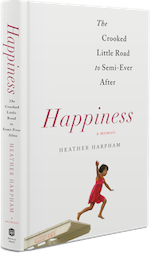 In her debut memoir, Happiness: The Crooked Little Road to Semi-Ever After, award-winning playwright and performance artist Heather Harpham's first precious moments of happiness with her newborn are shattered when she learns her daughter has a rare blood condition that places her at high risk for brain damage or death. Along with the scary medical issues come additional complications. Harpham must navigate this crisis mostly alone, living in her mother's converted garage in California. Her daughter's father, Brian--whom Harpham loves deeply--had made it clear early on their relationship that he didn't want children. When she announces the unplanned pregnancy, Brian wrestles with his love for Harpham versus the undeniable fact that he does not want a family. Ultimately, he remains in New York to pursue his career as a teacher and an award-winning, published novelist--a decision that Harpham understands, even if it breaks her heart. "If a baby is the unfathomable concoction of two people, what happens when one of those two, upon discovering a baby is under way, changes his mind? I was physiologically bewildered; carrying around, in my body, the genetic material of someone who had said no to fatherhood. Meanwhile his genes and my genes were sketching the blueprint of a person. If I was constructing a human out of a reluctant set of building blocks, with genes that lay themselves out with reservation and regret, in sequential order, step by step, but under duress, what then?" "What then" soon becomes a series of life-saving blood transfusions and countless hospital stays for baby Gracie. As Harpham becomes adept in caring for her medically fragile daughter, she realizes how much forgiveness and acceptance are necessary for her and Gracie's future. Gradually, Brian's role in their lives shifts into something new and unexpected when he can no longer deny his need to care for those he loves. Harpham writes: "Trying to make a family is a gamble, and if I was going to bet on something, I would bet on what I wanted, what I hoped for, what I believed in.... It was a leap of faith and I was already midair." Harpham's ability to capture an audience's emotions takes center stage as a memoirist. Her deeply personal yet witty narrative style makes the reader feel instantly connected, as if Harpham is a close friend traveling a familiar "crooked little road to semi-ever after." Hers is a journey evoking a spectrum of emotions: hope, sadness, anger and, yes, happiness. Within the first few pages of Happiness, Harpham immediately grabs for the heart, juxtaposing the roller-coaster reality of caring for a critically ill newborn alongside her exhilarating, romantic courtship with Brian. She recalls a prescient conversation at an intimate Greenwich Village restaurant, "the kind of place where, to reach your table, you're obliged to wedge sideways and apologize to strangers whom you've brushed with your hips." "Seated, we leaned over the small table to breathe the same air and figure each other out. He said he'd read recently that everyone has a personal 'happiness quotient,' that your happiness in life is essentially set, regardless of circumstances. He reckoned his was low, and guessed mine was high. I'd never heard of a happiness quotient. I'd never stopped to consider happiness as anything other than an assumed default state, a place to return to after the occasional thick fog." Like the weather in Harpham's native San Francisco, such a fog would engulf the couple in confusion and uncertainty on numerous occasions. None would be more significant than when Gracie turns three and her condition becomes dire enough to require a bone marrow transplant. For Harpham, who by then had moved back to New York, the prospect of leaving their beloved, supportive Brooklyn community--close friends and strangers alike who donated more than $85,000 for Gracie's care--for an uncertain, extended hospital stay at Duke University seems daunting, especially without a lifetime guarantee. "Transplant can cure you. Or it can kill you. There's not much middle ground. [Choosing transplant] would be, as one doctor put it, taking our 'risk upfront.' If only she were a hedge fund, or an annuity, it would be easy to take our risk upfront. But she was a girl. A single, unique, irreplaceable girl." Heather Harpham is an award-winning playwright and solo performance artist whose work has been produced worldwide. She earned an MA in Theater and an MFA in Creative Writing from New York University. 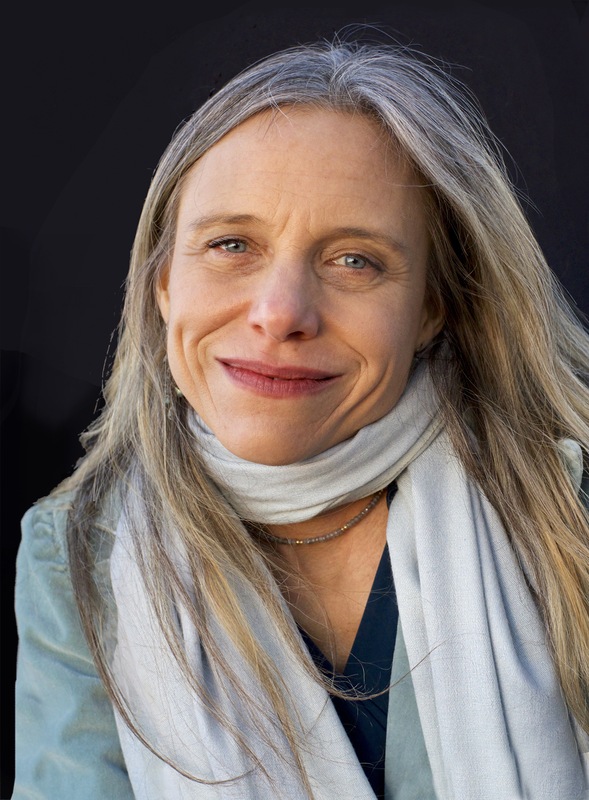 An essayist and fiction writer, she teaches at Sarah Lawrence College and SUNY Purchase. Happiness: The Crooked Little Road to Semi-Ever After (Holt) is her first book. Harpham is originally from the San Francisco Bay Area; she and her family now live along the Hudson River in New York State. In Happiness, the reader has a definite sense of feeling part of the scene and connected with everything that's happening, particularly when you write about your daughter, Gracie, being sick and receiving treatment in the hospital. Do you think your background as a playwright and improvisational artist helped enhance that quality of your writing? You know, I haven't heard the book described that way yet, as having a "scenic quality" in which the reader feels they are observing reality as an audience does in theater. And I certainly didn't set out to write theatrically. That being said, I'm really glad if that's how it comes across. One thing I discovered early on was that most of what I'd written for the stage was unusable for the page. However, many specific skills translate. I do think my experiences as a solo performance writer may have helped with Happiness. Playwriting requires the ability to compress an experience or story, to modulate the timing of events carefully and to gage an audience's responses moment by moment. Obviously some of those skills translate and others don't, in writing for the page. I tried to bring what worked best to telling the story of Happiness. Before the book, you created a one-woman show that incorporated some of the material from your memoir. Tell me more about that process. Not long after we returned to normal life, after transplant, I began working on a solo show which I thought would be--very generally--about the body's frailties and resilience. I called it Born Again. I emphatically did not want to use the material of my daughter's experience, but I did want to work out some of the philosophical questions that arose in watching her suffer. Despite what I intended, the transplant material sort of took over the show and pushed aside the more wide-angle ruminations on the body. Stories, in any form, tend to drift toward the heat. It was essential to me, in working with the transplant material, not to overwhelm the audience with the intensity of the material. I wanted it to be leavened with humor and with the perspective that time gives us, and I tried to bring those values to the book as well. Your memoir goes deep into those kinds of experiences, ones that are emotionally charged. I'm thinking particularly of Brian's decision to leave when you're pregnant and having to go through not just a pregnancy alone but also the immediate aftermath of having a critically ill baby. How difficult were those moments to relive through your writing? Very difficult. And in most of the first drafts I swerved around the harder material or moments. Some of the early readers of Happiness commented, "You've written us right up to the precipice and then wandered off." I learned that, as a writer, you have to write not just up to, but through the critical moments, even when they are hard to bear. But you have to do it with an awareness of the reader's presence and stamina. And you have to do it honestly, even when you don't want to. It was a challenge to do that, especially in those key decision-making scenes between Brian and I which are so integral to this story. It took a lot of writing, reading and re-writing to make sure that the presentation of my and Brian's relationship felt accurate and fair-handed. Particularly to Brian, since I was narrating, and also for my children who may read this book someday. How long did it take to write Happiness? About four or five years. And the events in the book happened more than a decade ago, so there's the benefit of time, of perspective and the personal reflection and insight that happens as a result. I don't think I could have written this story without having some distance in the form of many years between the actual events and the writing. There's a reference in the book to Lorrie Moore's brilliant short story, "People Like That Are the Only People Here" when, during their child's stay in the pediatric oncology unit, Lorrie's husband suggests she should take notes for future writing material. While Gracie was sick, did you keep a journal or a diary that you referred to while writing Happiness? While I was pregnant, I wrote letters to the baby. It was a way for me to let her know, first and foremost, how much she was loved and wanted. I wrote about the hopes I had for the person she would become. During the time Gracie was in the hospital, I started a Caring Bridge page [a website for people facing medical crises to update others] because so many people had read about our family's story. Gracie had been written about in the New York Post and after reading those articles, readers had donated money for her care. At first I wrote just to update people with the facts--test results, that kind of thing. Gradually I started to write more about the emotional aspects; however, very little of the website writing is in the book because those posts didn't ultimately translate well to prose. In addition to being a story about finding happiness and discovering our capacity to love, Happiness is also about the various forms of love, the risk of losing those we love and the vulnerability that requires. I think that's true, or I hope so. I hope it's a story about the many ways we find and construct love with another person and within our families, and also about the power of the love we find in friendships--particularly female friendships, which are so important--or the love a community has for its most vulnerable. We felt that in Brooklyn, when Gracie was embraced and supported by complete strangers at her most fragile moment. And we saw that--the envelopment of suffering with love--in other families we met in the hospital who endured the most devastating loss possible. As you said, love comes with huge risk, which there was plenty of during our journey. There were a lot of scary high-stakes decisions along the way. And there were moments when both Brian and I, together and individually, had to be vulnerable in order to gain what we hoped for most: a healthy, stable family. The drawback to Bill Roorbach's (The Remedy for Love) story collection is that each of the nine feels like it should keep going. Not that the tales in The Girl of the Lake are incomplete; they're so engaging that, as carefully crafted stories do, they create a world inviting the reader to stay a while. Settings span the globe. In "The Fall," Jean and Timothy take a remote Maine trail for a camping trip as doomed as their relationship. Robert and Phillippe (not a couple!) snag a complimentary Mediterranean vacation in "Princesa," where they meet fellow international revelers and open themselves to new experiences. Recently widowed Miller Malloy volunteers with over-the-top enthusiasm at the floundering New Hampshire summer theater his wife supported in "The Tragedie of King Lear." And a summer fellowship at Oxford resonates decades later when a roommate becomes king of an unnamed African country in "Dung Beetle." Discover: Essayist and novelist Bill Roorbach populates nine memorable stories with well-developed characters in settings from Maine to the Mediterranean. New Delhi native Diksha Basu's first novel, The Windfall, is a comedy of manners that riffs on the universal theme of keeping up with the neighbors. When Mr. Anil Jha sells his website for a vast sum of money, he and his wife, Bindu, decide to leave their longtime home of Mayur Palli in East Delhi for a beautiful two-story house in Gurgaon, a swank district on the other side of the city. Mr. Jha happily greets the dawn of a new era--one filled with the right people, couches dotted with Swarovski crystals and the possibility of a swimming pool. Mrs. Jha, on the other hand, clings to a simpler life, worrying that the new house's showers aren't environmentally friendly and putting her foot down against installing bathtubs. Nevertheless, the Jhas attempt to build rapport with their chic and condescending neighbors the Chopras. Meanwhile, in New York, their son Rupak is concerned that he will let his parents down when they find out he's failing his business classes at Ithaca College. Worse, he hasn't told them about Elizabeth, his white American girlfriend. Discover: When Mr. Jha sells his website for a small fortune, he and his family face the triumphs and pratfalls of becoming nouveau riche in Delhi. In the beautifully rendered opening of Warren Read's Ash Falls, Ernie Luntz escapes into the Washington mountains after an accident during a prison transport. The brilliance of Read's first novel is that Ernie's getaway acts as the opening of a window--one that provides a view of Ash Falls, the town Ernie left behind when convicted. Read provides a kaleidoscopic look into the lives of small-town denizens--including those of Ernie's ex-wife and son--altered by interpersonal histories, dysfunction and one particular moment of violence. A series of streamlined, interconnected vignettes, the chapters examine a number of long-time residents as word of Ernie's escape spreads. The main focus is not on him, however, as each individual has a distinctive connection to the others and the events that led to Ernie's crime. Discover: The lives of several small-town residents are explored by way of an escaped convict who used to be one of their own. New York, located on the tip of Manhattan Island in 1746, is unsophisticated and barely populous enough to be called a city. Golden Hill: A Novel of Old New York by Francis Spufford (Red Plenty) brings the smells, sights and sounds of pre-revolutionary New York into sharp focus. When Mr. Smith steps off a boat from London and refuses to divulge any information about himself, even while presenting a banknote for the enormous sum of £1,000, people take notice. Mr. Lovell, head of the accounting firm to whom the note is presented, is leery of this mysterious young man. "I don't know how to take you, and you study to keep me uncertain, which I don't see as a kindness." When Lovell decides to hold the note until the next boat from Britain arrives with a confirmation letter, Smith is forced to remain in New York, subsisting on little money but an abundance of charisma. Diverting his attention from financial matters is Tabitha, Lovell's mercurial daughter, and Oakeshott, secretary to New York's governor, with whom Smith develops a bond that allows him access to the private lives behind society's façade. Yet Smith has the deepest secret of all--and discovery could be catastrophic. "When he planned his entrance, he had not considered how much more easily an illusion is begun than maintained." Spufford gives readers a rollicking story about a brash young man who becomes enmeshed in provincial turmoil that foreshadows the national conflict to come. --Cindy Pauldine, bookseller, the river's end bookstore, Oswego, N.Y. Discover: Pre-revolutionary New York City is depicted with a boisterous mix of financial intrigue, drawing room repartee and swashbuckling adventure. Young Oswald de Lacy, Lord Somershill, has fled his English estate, full of melancholia and flashbacks to tragedies in his life. He and his obstreperous mother are on a pilgrimage to the Holy Land when the King of Hungary blockades the Italian coast, and they become stranded in Venice. Drawn into Venice's decadent and secretive society, but still suffering from unexplained nightmares, Oswald is at loose ends. As the weeks drag, he begins to gamble extensively--leading to an interrogation by representatives of the Doge and a massive debt to an unscrupulous man. But suddenly circumstances turn even more awry when a member of the Somershill household is murdered. Desperate to come up with some quick cash for the journey home, and to fend off his mother's interference, he undertakes the investigation in exchange for lucrative payment. Though he's played sleuth previously on his own estates, Oswald soon discovers how far a cry that was from investigating a death in this closed, enigmatic city. From brothels to dungeons to palaces, Oswald must journey all over Venice as he tracks a killer. And along the way, he discovers that he is not the only one with matters he'd prefer to keep hidden. Discover: In this atmospheric historical thriller, a young English lord investigates a murder in 14th-century Venice. British Science Fiction Association Award winner Nina Allan (Spin) depicts what happens to a family when a loved one, missing for 20 years and presumed dead, suddenly reappears. Selena and Julie Rouane are sisters who share a deep bond and a love for The X-Files. They play a game called alien spotting in which they attempt to identify oddly dressed and curiously behaved individuals as "alien." They drift apart as Julie moves into her teen years. She disappears in 1994, at 17; the Rouanes' lives are shattered. Selena's parents divorce, and her father's obsession with Julie's disappearance devolves into mental illness. Riddled with survivor's guilt, Selena struggles to forge her own individual identity. When Julie resurfaces 20 years later--with sensational stories that involve escaping a serial murderer, alien abduction and leading a parallel life on a planet called Tristane--Selena's sense of the real and rational fosters contention in their relationship. Discover: A young woman struggles to reconcile past and present when her presumed dead sister resurfaces 20 years after her disappearance with an extraordinary story. Writer, graphic artist and restaurant cook Tamara Shopsin (Mumbai New York Scranton) grew up in her parents' Greenwich Village store and restaurant in the 1970s, when the area was dirty and sketchy and still felt like a village. Arbitrary Stupid Goal is a memoir of her loving erratic family of "foul-mouthed dirt balls," their restaurant, customers, neighbors and friends. Shopsin was raised to believe "the nutrients of New York City are in the fringe people." Many of those she grew up around were scraping by as building supers and scam artists, musicians and home bakers. Jeff Goldblum, Joseph Brodsky, Charlie Parker, John Belushi and Calvin Trillin also have cameos. Shopsin and her four siblings roamed the city and had free rein of the restaurant, playing and working there, getting gifts and homework help from customers. The central figures are her volatile father and his good friend Willy, a scam artist, singer and obsessive Casanova who unchained the garbage can lids when it snowed so the Shopsin kids could use them as sleds. He also "liked running with dangerous people but had a theory he lived by: Don't sit next to people like that. Someone might come to shoot them, miss, and get you instead." Discover: Cook Tamara Shopsin offers her memoir of growing up in sketchy bohemian 1970s Greenwich Village, and of a family restaurant then and now. Kief Hillsbery grew up with the legend of his great-grandfather's great-uncle Nigel, who had "gone out to India" and never returned to his family's home in Coventry, England. According to the many stories, he'd left the British East India Company abruptly and gone to live in Kathmandu; he'd been killed by a tiger; he'd been involved with shady dealings regarding a famous diamond. From childhood, Hillsbery always had "a clear sense that [the family] disapproved of Nigel and the vague notion that there was more to his story." Discover: With a distant idea of a lost great-uncle, Kief Hillsbery investigates the enigmatic history of a family legend. A proudly cranky Massachusetts transplant, Jeremiah Moss came to New York City in the early '90s hoping to find a little of the punk edginess of the '70s and '80s or even the freewheeling Beat cool of the '50s and '60s. Instead, he watched the East Village gentrify into a trendy suburbia where "pastrami and chopped liver would be replaced by Buffalo hot wings and cheese sticks." Vanishing New York is a collection of his blogs tracing the "hypergentrification" of the city once home to the dreams of the rebel young, the "poets, punks, and queers, activists and anarchists, dominatrices and drug addicts, graffitists, nudists, and underground cartoonists." True to his pen name, his blogs are a jeremiad against city planners (e.g., Robert Moses), mayors (e.g., Michael Bloomberg) and developers (e.g., Donald Trump) who bulldozed, rezoned and condo-ized the Jane Jacobs city of neighborhood blocks and storefronts into one of "cupcakes, cronuts, and hundred-dollar doughnuts dipped in 24-karat gold." Working neighborhood by neighborhood, Moss writes like a war correspondent tallying battle casualties: the Village, the Bowery, the Meatpacking District, Chelsea, the Hudson Yards, Harlem and Brooklyn. 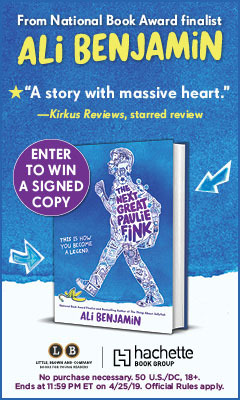 He leans to feet-on-the-street observations, but also digs into the history of the powerful who oversaw and engineered the city's downfall--especially his nemesis Bloomberg. Moss quotes the Daily News on the 10th anniversary of 9/11: "Our city suffered two tragedies a decade ago: the 9/11 attacks and the election of Mayor Bloomberg. The former tried to destroy New York City; the latter succeeded." Vanishing New York is an entertainment as much as it is a polemic. Angry--sure. Funny--you bet. And oh so astute. --Bruce Jacobs, founding partner, Watermark Books & Cafe, Wichita, Kan. Discover: Moss's collection of blogs chronicling the decline of New York City is an entertaining lamentation that spares neither politicians, developers, nor urban planners. What began as "Split Image," a profile piece for ESPN by columnist and feature writer Kate Fagan (The Reappearing Act), swelled into a heartbreaking exploration of mental health in college sports during the era of social media. Madison Holleran was a 19-year-old freshman University of Pennsylvania track recruit whose depression resulted in her suicide in January 2014. As she wrote about Maddy, Fagan heard from many others like her--young athletes struggling with depression or anxiety. Fagan cites the NCAA as saying, "suicide is the third-leading cause of death among student-athletes--behind accidents and cardiac causes." The overwhelming prevalence of mental health issues among these young people inspired Fagan to expand "Split Image" into What Made Maddy Run. Fagan depicts the Maddy Holleran her friends and family knew, a smart, beautiful, talented, successful young woman. In high school, she excelled at soccer and track, the latter being the sport that opened doors to an Ivy League college. Through Maddy's text messages, personal writings and relationships with those around her, Fagan illustrates how college turned out to be the trigger for her depression. Entwined with Maddy's story is Fagan's: her own experience with anxiety and having a panic attack; the state of college athletic programs--Fagan played college basketball at Colorado University; and her research and efforts to connect with other college-level competitors. With immense empathy, she shares insights particular to student athletes, but presents them in universally accessible language and connects with the non-athlete through vivid examples. Discover: A 19-year-old Ivy League track recruit's suicide shook her school, her family and ESPN reporter Kate Fagan, who explores the young athlete's story. In Buddy and Earl's fourth outing, Maureen Fergus and Carey Sookocheff (Buddy and Earl and the Great Big Baby) send the hilarious dog and hedgehog duo to school, where their friendship goes to the head of the class. "With the right education, I can become anything," says imaginative hedgehog Earl when Meredith, the pair's human girl, tells them they're going to school. He hopes to learn dentistry, while his earnestly doofy canine friend Buddy's career aspirations include hot dog vendor and fire hydrant--until he remembers what dogs do to fire hydrants, that is. In the make-believe classroom, Earl's excitement quickly shifts to boredom, until Meredith steps out and puts him in charge. When newly minted Professor Earl introduces a curriculum that emphasizes "Sniffing Things," "Tail Chasing" and "Scratching Itches," Buddy unsurprisingly earns high marks, playing innocently into Earl's ultimate goal of honoring his best friend. Discover: In their fourth adventure, imaginative hedgehog Earl and his sweet, naïve canine BFF Buddy play school with funny and heartwarming results. With big smiles plastered on their faces, an apple and a pear invite the reader into Adam Rex's (School's First Day of School) Nothing Rhymes with Orange, asking who "wouldn't travel anywhere/ to get an apple or a pear?" More happy, anthropomorphized fruits join in on the fun: a banana surfs by, waving at a plum and a Speedo-clad peach. "Hey, are you guys going to need me for this book?" asks the orange from the corner of the page, "[j]ust wanted you to know I'm available in case something comes up." Knowing full well that nothing rhymes with him, the orange sulks as the pages become more and more packed. A "lychee" joins the cast, rhyming with "peachy" and, eventually, "Friedrich Nietzsche" ("FRUCHT!"). The rhyme scheme stretches, becoming ever more forced in an attempt to fit in all the fruit: "If a pear gets lost at night/ and meets a wolf, who takes a bite,/ then does that pear become a pearwolf when the moon is full and bright?" Discover: An orange feels left out of the fruit party because nothing rhymes with him in Adam Rex's playful and sweet Nothing Rhymes with Orange.